A research study was conducted in order to determine whether or not the addition of regular exercise could improve upon the benefits of HYALGAN® injections for knee osteoarthritis pain. Lie flat on a comfortable surface. 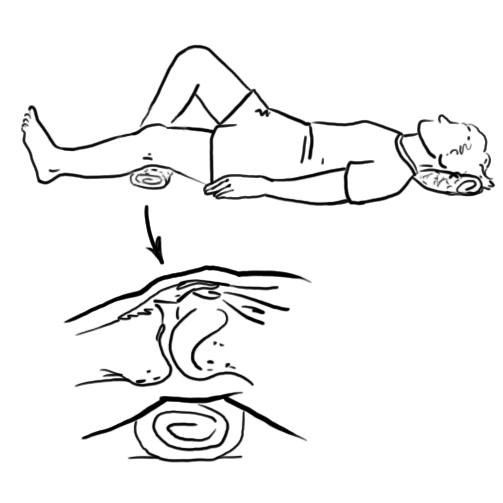 Place rolled up towel under your knee. Firmly push your knee down into the towel. 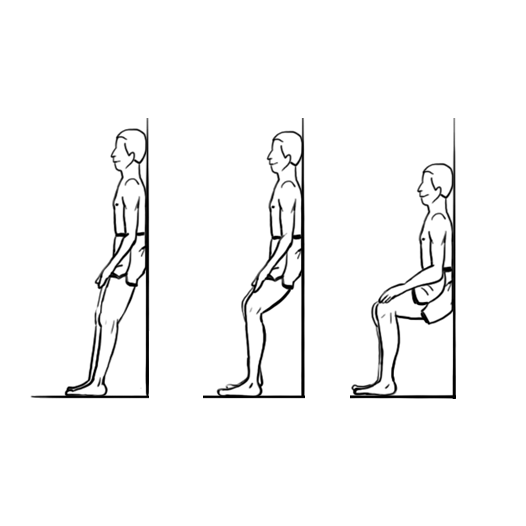 Hold the position for approximately 5 seconds then repeat for a total of 8-10 repetitions = 1 set. Stand with your back against the wall and feet shoulder width apart. Place your feet far enough away from the wall so that the front of your knees stay behind (i.e. do not extend past) the front of your feet when you slide down the wall. Slowly slide down the wall to a maximum knee bend of 90 degrees. Slide down less than 90 degrees if you feel knee pain at 90 degrees. Stop sliding just before you feel knee pain. Slide back up the wall and repeat for a total of 8-10 repetitions = 1 set. Perform 3 sets. The study involved 60 participants – all of whom were 50 years of age or older and had moderately severe knee osteoarthritis. One-third (i.e. 20) of the patients received 5 weekly HYALGAN® injections, one-third of the patients received 3 weekly HYALGAN® injections and the final one-third of the patients received three weekly HYALGAN® injections and performed a home exercise program. The home exercise program involved two exercises that were designed to strengthen the muscles in front of the thigh known as quadriceps muscles that attach to the knee. The patients agreed to perform the exercises every other day after being shown a video of the exercises, shown a demonstration of the exercises, demonstrated the exercises themselves, and were given a handout that illustrated the exercises (please refer to the exercise diagrams). All of the patients kept a diary which recorded their level of pain and noted any pain medications that they were taking. In order to help isolate the effects of the HYALGAN® injections +/- the exercises for those patients who were in the exercise group, the patients agreed not to make any medication changes or change any other aspects of their treatment from the osteoarthritis while they were enrolled in the twelve month study. All 3 of the treatment groups overall, tolerated the injections +/- the exercise very well. The patients who in fact underwent the exercise training in addition to the three HYALGAN® injections reported a faster onset of pain relief compared to those who only received the 3 injections or only received the 5 injections. HYALGAN® injections were safe and effective. The addition of exercises to HYALGAN® injections led to significant improvements in pain and if exercise is coupled with 3 HYALGAN® injections, the patients had pain relief that was equal to those who had received 5 injections of HYALGAN® . *Some patients may experience benefit with 3 injections given at weekly intervals. This has been noted in studies reported in the literature in which patients treated with 3 injections were followed for 60 days.